The most common and popular body piercing! 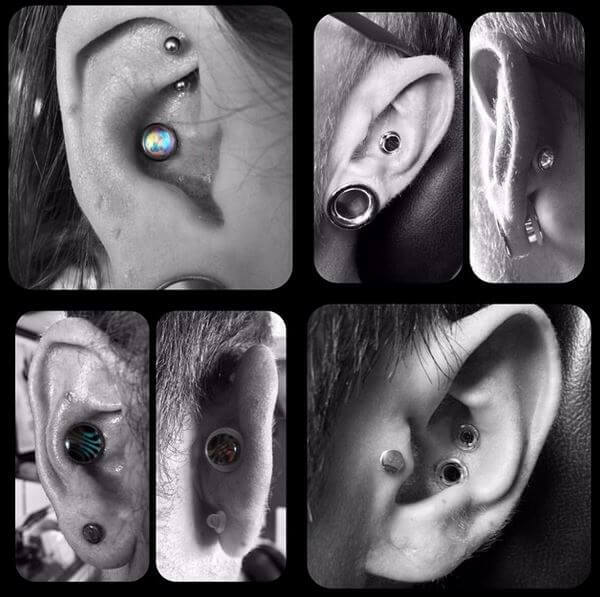 Of all the different types of body piercings that exist today, ear piercing is probably the most accepted in society and the most popular. 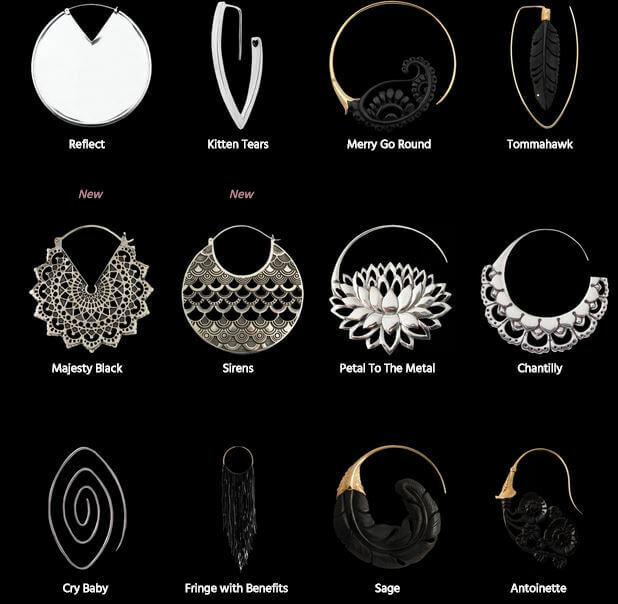 And ear jewelry is allowed in most workplaces and schools, and if not, the hair can be worn down to cover it. You may wonder about how many places can an ear be pierced on? After all, it seems there’s not much space on them, but… you’ll be surprised! As it turns out, there are at least 10 types of ear piercings that can be done, including: the lobe, helix, tragus, conch, daith & rook to just name a few common choices. Come to Mantra Tattoo in Lakewood if you want your ear piercings done by a pro! 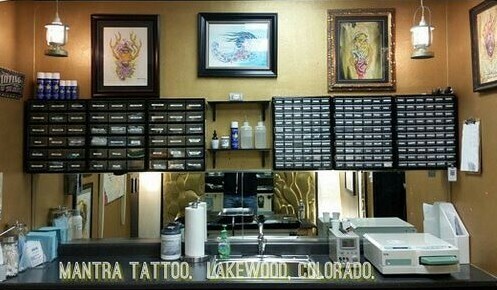 So whether you are thinking of getting your first ear piercing or if you already have a few and are looking to replace a piece of jewelry or to get a new one, come by our shop to check our great selection and get pierced by either one of our awesome professional body piercers in Denver: Claire or Lil’ Chris. Age requirements: 18 and up on your own with state-issued photo ID or equivalent; 16 or 17 years of age with a legal guardian and both individuals are required to have a state-issued photo ID or equivalent with matching last names.